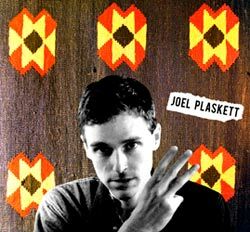 Today we have another tune from a regular contributor to the series, Joel Plaskett Emergency. The song is a great sing along called Deny Deny Deny. Joel is a great good time music maker in the great Maritime Canadian tradition. You can hear the Celtic undertones and almost expect a fiddle and an accordion to pop in any second. The tune is performed live somewhere in Halifax. This entry was posted in Canadian Music, Live Music, Music, Singer Songwriter, Song Of The Day and tagged Joel Plaskett, Joel Plaskett Emergency, Music, Singer-songwriter, Song Of The Day. Bookmark the permalink.